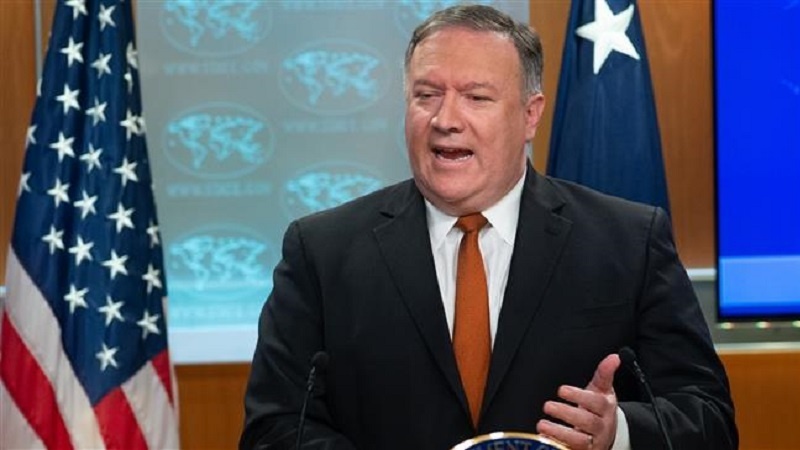 US Secretary of State Mike Pompeo has criticized former Secretary of State John Kerry for holding talks with Iranian diplomats. In May, United States President Donald Trump pulled the US out of the Iran Nuclear deal, known as the Joint Comprehensive Plan of Action (JCPOA), claiming it to be a bad deal. Kerry, who played a main role in the deal and has described it as the “single strongest, single most accountable, single most transparent nuclear agreement anywhere in the world,” has criticized the Trump administration for pulling out of the Iran nuclear deal. Since exiting, Kerry has had several talks with the Iranian side, advising them to wait out until Trump leaves office. On Thursday, Trump attacked Kerry for having “illegal meetings.” “John Kerry had illegal meetings with the very hostile Iranian regime, which can only serve to undercut our great work to the detriment of the American people. He told them to wait out the Trump Administration! Was he registered under the Foreign Agents Registration Act? BAD!” Trump tweeted. The US Foreign Agents Registration Act requires agents representing interests of a foreign country to disclose the nature of their relations. In following suit with Trump, Pompeo described Kerry’s meetings as “literally unheard of” and “beyond inappropriate”. Former Secretary Kerry is “actively undermining US policy,” Pompeo criticized. In response to Pompeo’s comments on Friday, a spokesperson for Kerry said, staying in touch with former counterparts was an appropriate behavior practiced by many former US diplomats. Kerry, who had engaged in talks with Iranian Foreign Minister Javad Zarif, was “advocating for what was wholly consistent with US policy at the time,” according to Kerry’s spokesperson.